Lent: Day 22 – All storms, famines and turmoil in our lives serve (intentionally or unintentionally) for the purpose of separating us from God’s Love, that being Jesus Christ. Abundant blessings can have a tendency to allow us to forget that attacks on God’s Love within us do exist. If we find ourselves struggling to endure them, Paul reminds us that even our biblical ancestors were blessed abundantly and yet struggled with fear and doubt. He also assures us that the guide, who led them out, is also our guide who will lead us to the way out and onto the peaceful side of those storms. What exactly is the way out? Jesus Christ within us is the way, the truth, and our life. We must be careful not to let our response to these attacks change who we are and forget that Christ within has not left us and will forever be with us when the storm passes over. Genesis 47:27-48:7 Thus Israel settled in the land of Egypt, in the region of Goshen; and they gained possessions in it, and were fruitful and multiplied exceedingly. 1 Corinthians 10:1-13 No testing has overtaken you that is not common to everyone. God is faithful, and he will not let you be tested beyond your strength, but with the testing he will also provide the way out so that you may be able to endure it. Lent: Day 17 – Quite simply, healing begins with faith. The mystery is that the healing doesn’t always come in the form we expect. While on his way to heal the daughter of a leader in the synagogue, Jesus is stopped by a woman in need of healing herself. It didn’t keep him from following through with his desire to heal the daughter of the synagogue official. We may think that God has forgotten us as we see others succeeding in front of us. It’s not true. Our faith is what keeps us in God’s healing path. “Do not fear only believe,” and experience the mystery. 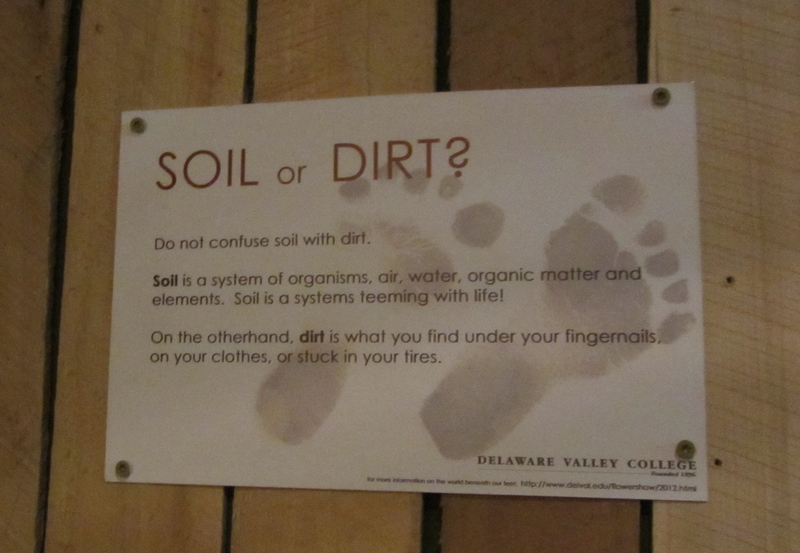 Lent: Day 13 – While at the 2012 Philadelphia Flower Show I came across a very intriguing notation as part of the Delaware Valley College education exhibit. It read; “Soil is a system of organisms, air, water, organic matter and elements. Soil is a systems teeming with life! …dirt is what you find under your fingernails, on your clothes, or stuck in your tires.” In many ways I believe the parable of the sower speaks to the various environments in which we sometimes find ourselves. Ultimately our goal is to always be found in “good soil,” where we are able to hear and accept the word, allowing it to be nourished within us, so that together we may be of good use and our exponents can be released and shared for sowing God’s word in and through others. I liken it to the law of exponential growth in which the base is the word of God and the exponents are the various gifts we bring to enhance and spread the gospel. Our gifts express who we are in Christ. The more we use our gifts in and through Christ, the more God is glorified. Who then, can stand against such glory and power!